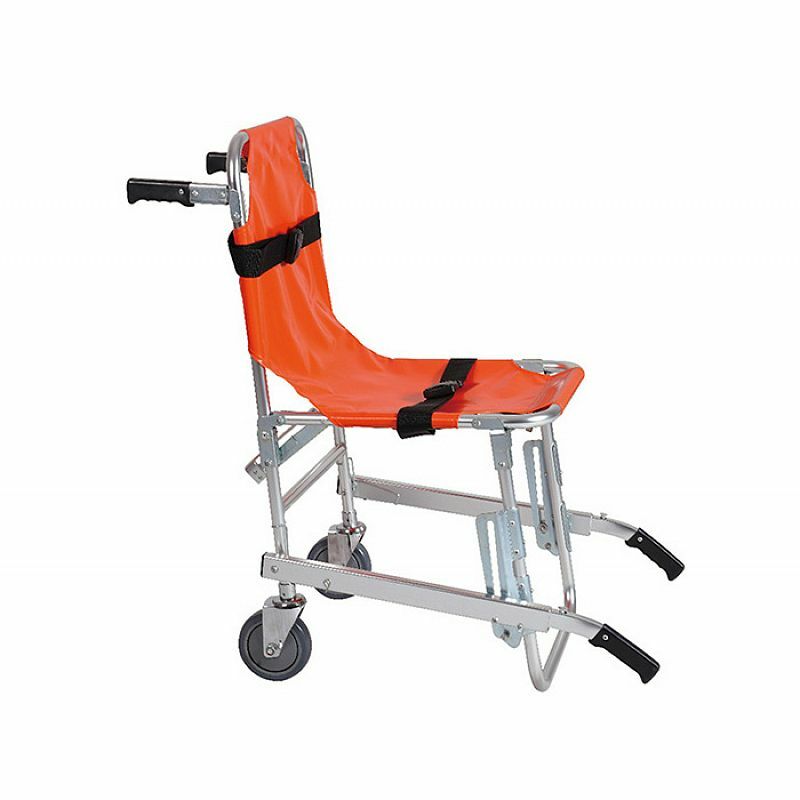 1.The stretcher is mainly used for high building's lift carrying patients and wounded person. 3.It is with two wheels. 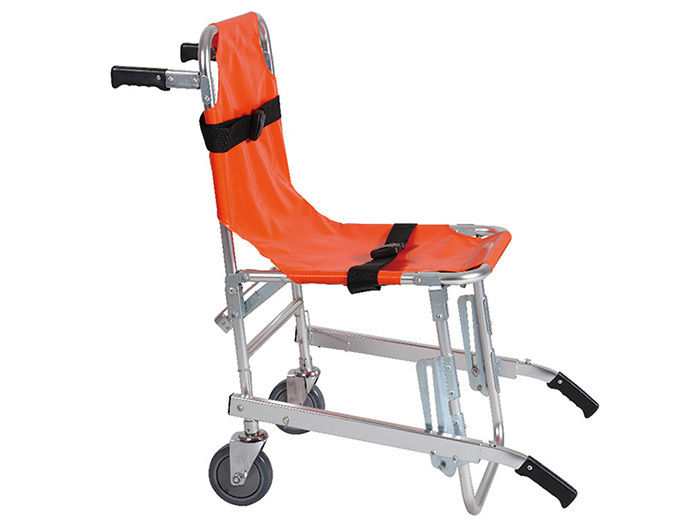 4.The back of the stretcher designed with two or four folded handles. 6.The stretcher is with belts to approve the patient's safety during transport process. 7.It is made of high-strength aluminum alloy materials. It character rose by its being light-weight, small-sized, easy-carried, use-safely and easy for sterilization and clean.